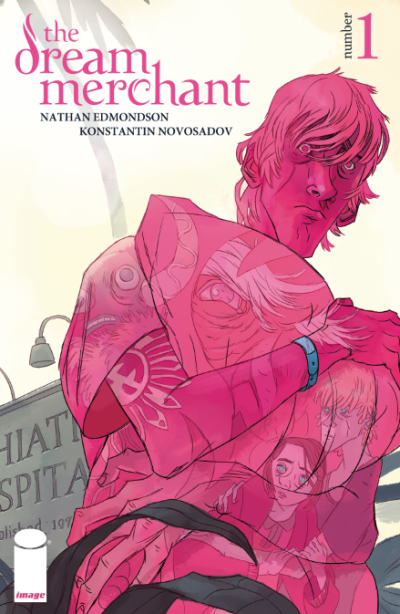 From Nathan Edmondson (DANCER, THE ACTIVITY) and newcomer Konstantin Novosadov comes THE DREAM MERCHANT, a sci-fi series from Image Comics, about Winslow, a troubled mental patient in his late teens. Winslow suffers from a recurring dream that grows more intense every night - and when he discovers its true meaning, the world will literally change. The task of depicting Winslow’s dreamscapes, as well as the dreariness of his ordinary life, is in the hands of talented Russian artist Novsadov. His impressionistic, color-washed style is a perfect complement to Edmondson’s story of the mysteries of dream life and fantasy. Volume I of THE DREAM MERCHANT is a six-issue, full-color miniseries. The first issue (MAR130450) will be in stores May 15 and will be available for pre-order from the March issue of Previews. Readers who want a sneak peek in advance are invited to submit their dreams to a special Tumblr site, dreamshavemeaning.tumblr.com.